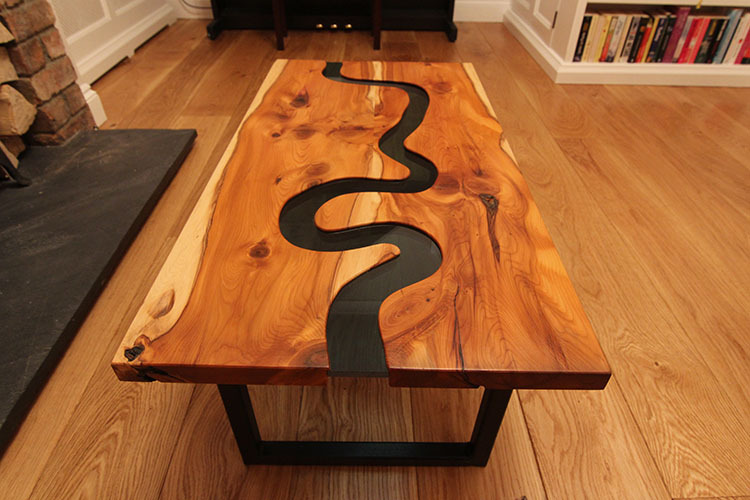 A glass river Thames flows across the top of this coffee table. 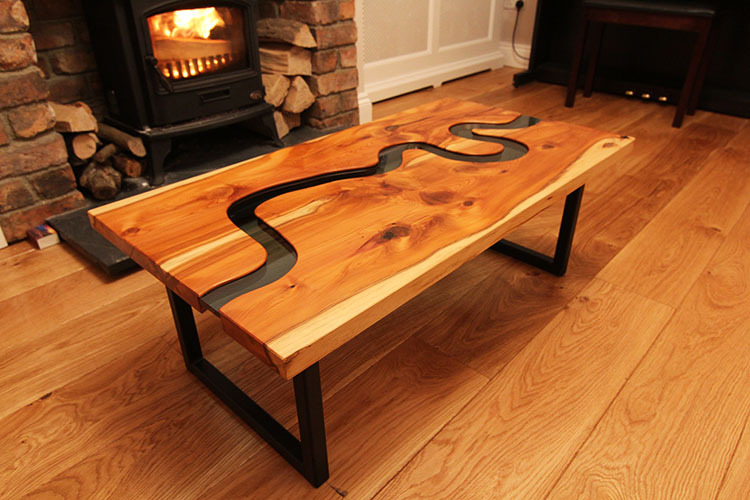 The top is made from yew, with metal legs allowing the glass to float between the two halves. George has also designed a dining table sized version of this table.